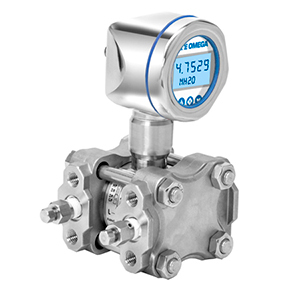 The Omega differential PX3005-DIFF is a compact, rangeable, pressure transmitter ideal for monitoring pressures in process automation, hydraulic systems, compressors, pumps, and in tank level applications where consistent, reliable pressure measurement is essential. The PX3005-DIFF utilizes a unique encapsulation construction of a MEMs piezoresistive pressure sensor coupled to an advanced microprocessing to provide superior accuracy and performance. 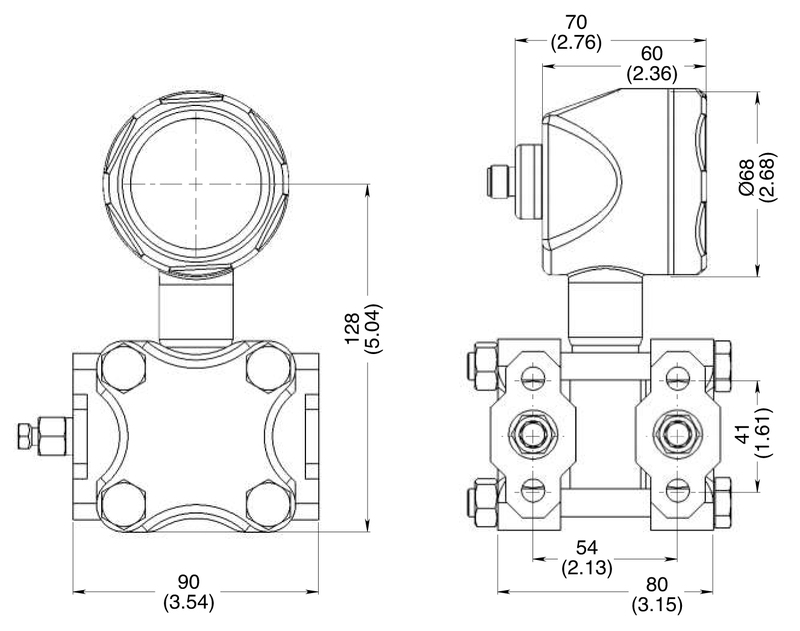 The unique construction enables high line pressure operations and superior protection from pressure overloads. The rugged 316 stainless-steel enclosure is IP67 rated making it suitable for wash down environments. A 5-digit backlit LCD allows for a full precision representation of process variable. Available in ranges from 1 to 1,500 psi, the intelligent transmitter module allows for configuration of the 4 to 20 mA signal, display of input or output, and choice of 19 measurement units. The output signal can be adjusted to re-arrange the transmitter or “tare” unwanted fluid head preloads. Rangeability is capable of adjusting zero and span are from -100 to 100% FS URL (Upper Range Limit) with a minimum span of 30% URL. This means a 15 psi transducer can have the zero set between -15 to FS 15 psi. For example, zero could be set for -15 psi and maximum 15 psi so the output would be 4 mA at -15 psi, midpoint 12 mA would be 0 psi and 20 mA would be 15 psi.